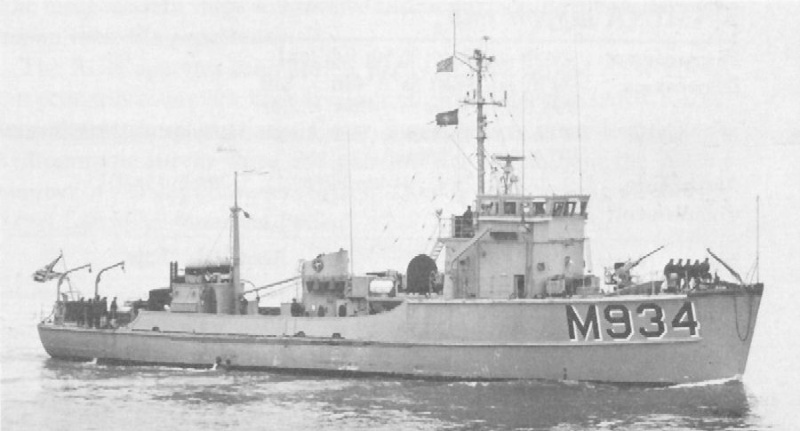 MSC-218 Class Coastal Minesweeper: Laid down as Motor Minesweeper, AMS-259 by the Hodgdon Brothers, Goudy and Stevens, East Boothbay, ME; Reclassified by U. S. Navy as a Coastal Minesweeper, MSC-259, 7 February 1955; Completed 4 June 1956 and transferred to Belgium as Verviers (M 934); Converted to a Minehunter in 1972; Struck from the Navy Register in 1978. Fate unknown. 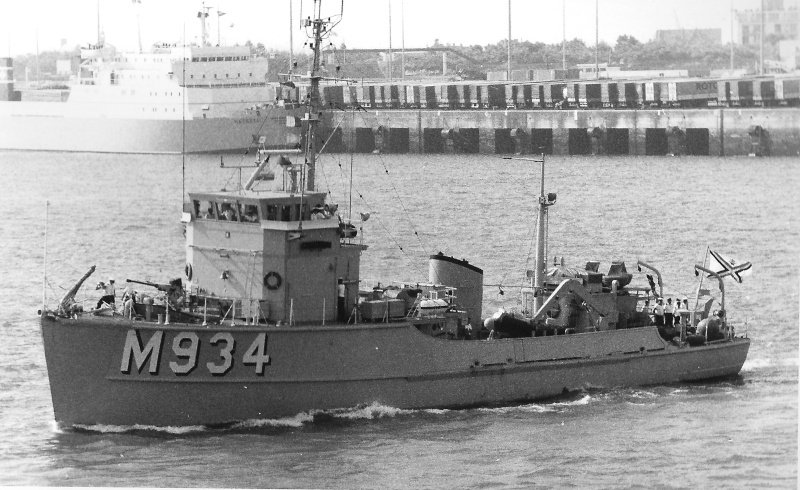 Specifications: Displacement 375 t.; Length 144'; Beam 27'; Draft 8' 3"; Speed 14 kts; Complement 39; Armament one 20mm mount; Propulsion two 880shp General Motors 8-268A diesel engines, Snow and Knobstedt single reduction gear, two shafts. 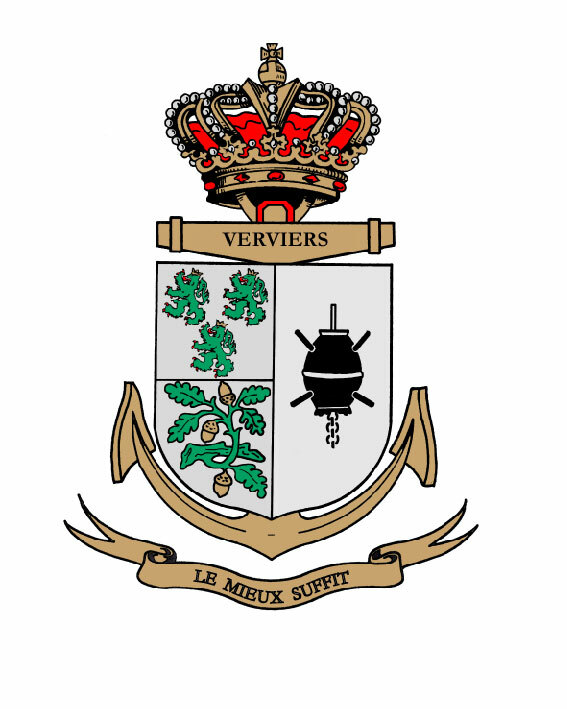 Le VERVIERS avec numéro de coque noir. 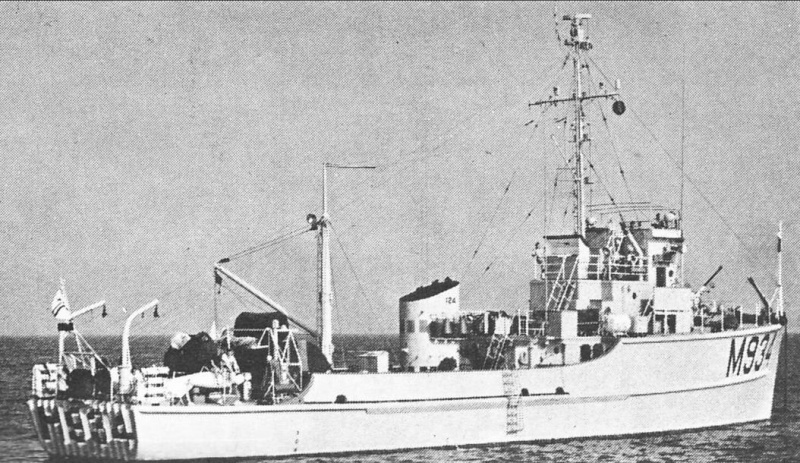 Si mes souvenirs sont bons le Verviers avait un système de propulsion appelé ''Voïd Schneider'' comme les petits remorqueurs portuaires et le Spin. Que sont les hublots ? 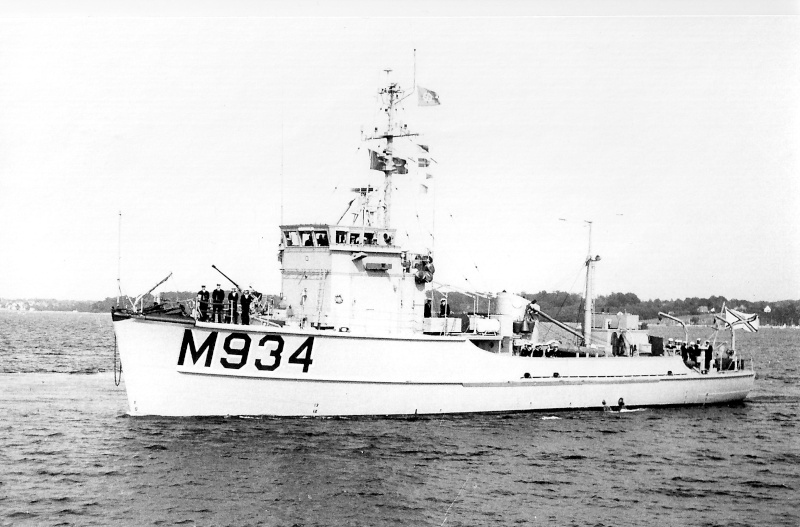 Sur LES MSC, a part la timonerie, il n'a avait pas de hublots ?